… maybe with Catherine playing at Sundance this year? I mixed and designed the sound for this short film version of the series by Jenny Slate and Dean Fleischer Camp (who also made Marcel the Shell). I’m working on some new shorts with them now, which are just as mind-numbingly weird and funny. … or maybe with the preview screening of The Poisoner on January 10th at Lincoln Hall? It’s the strange and beautiful second feature film by my friend Chris Hefner, which we mixed last month at my studio in Brooklyn – check out the official trailer. 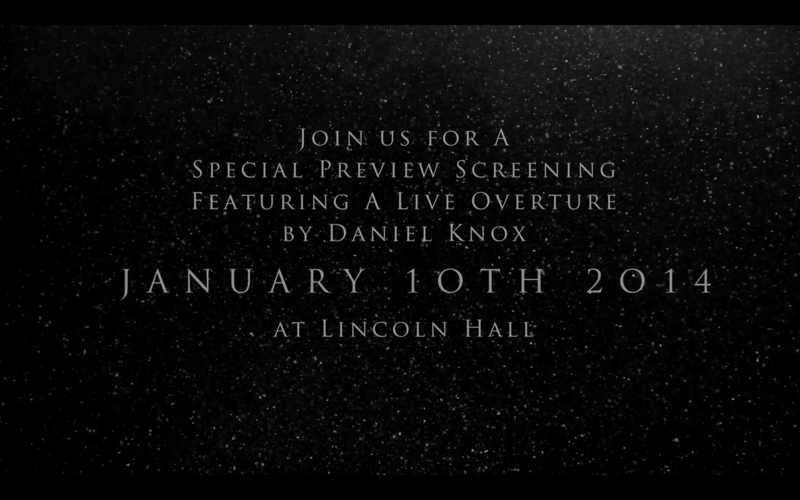 Daniel Knox provided an alluring score, and will be performing live at the screenings. I highly recommend all Chicagoans reading this to buy tickets for this screening. … I know! Maybe with the release of the remix of “Sorrow” I made for Frankie Rose! I mixed it at Doctor Wu’s, based on a string arrangement by Grayson Sanders of Snowmine, with my studio partner Yale Yng-Wong executing a beautiful Moog bass part before taking a nap. … but I should probably first just take a few moments to reflect on how great 2013 was. Sure, it had its difficult bits, but I had opportunity after opportunity to make and do good work with good people. I spent a month in India; travelled around the states with friends, family, and colleagues; made an album with my boy Bob Jones (EATERS 2014 BABY! ); made lots of new friends; and did some of the best work of my life. I can only hope that things will continue that way in 2014. 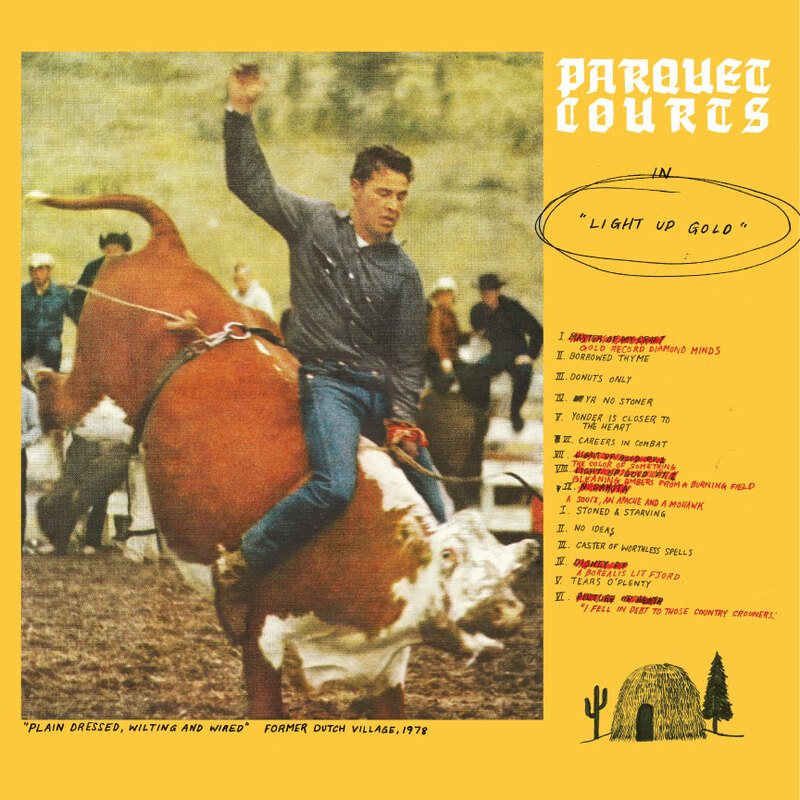 … and I have to spend a minute marveling at the success of Parquet Courts and Light Up Gold. These guys have become really close friends of mine over the last couple years since we banged this out in their practice space, and I couldn’t be happier about everything coming their way. Their music made countless year-end lists – from Pitchfork (Light Up Gold, “Stoned and Starving”, and the cover art) and Rolling Stone (Light Up Gold, “Stoned and Starving”, and writer/VH1-talking-head Rob Sheffield’s personal list), to NPR (Sound Opinions’ numbers 1 and 2 top album) and Associated Press, to Other Music and Amoeba Music – pretty much everyone loved it. And who could forget Tally All the Things That You Broke? Its release sealed the deal, as far as I’m concerned. We’re going upstate tomorrow to finish recording the new record at Outlier Inn – fingers crossed that people will love it too.